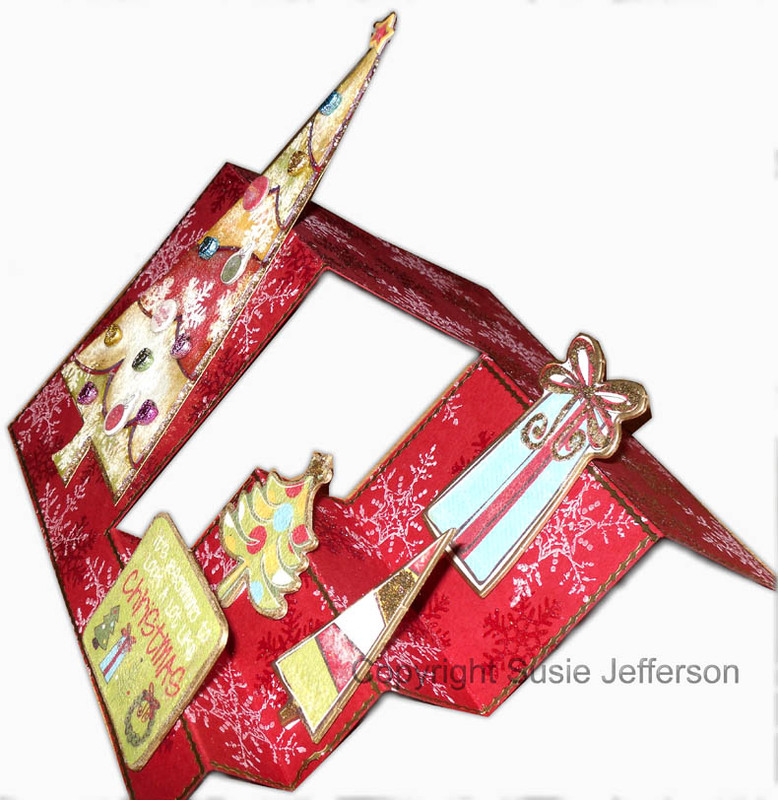 Thought you might like to see a Christmassy scrapbook page I did as samples for Blade Rubber Stamps, plus a stepper card - both using the same design of background paper and chipboard embellishements. 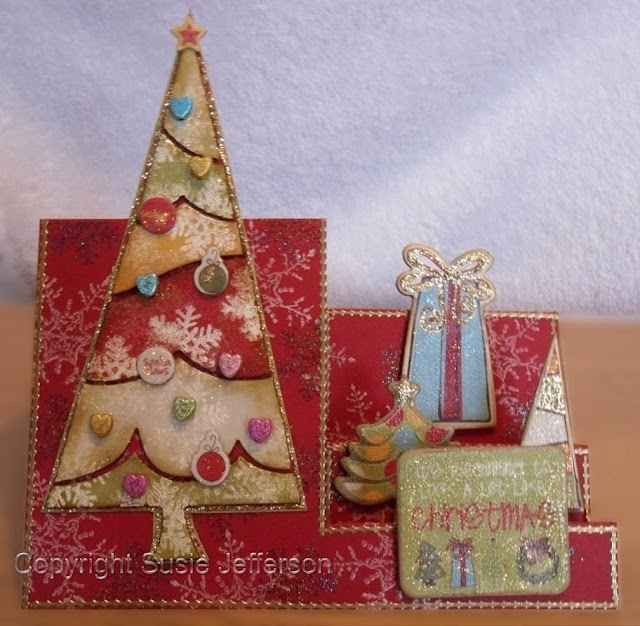 View from the front - notice I did a little background stamping with snowflake stamps onto the base red card. I also trimmed round the edges with gold peeloffs. The Tree chipboard element was mounted onto separate gold card and rimmed around with gold glitter. I also stamped on the centre red band of the tree (which was plain) and added baubles - some were the chipboard elements, and the rest were little metal hearts cut from an old necklace. All 'antiqued' with Rock Candy crackle paint. View from the side, showing the steps and the dimensions. The darker snowdrops are stamped with Versamark ink, then embossed with holographic embossing powder. 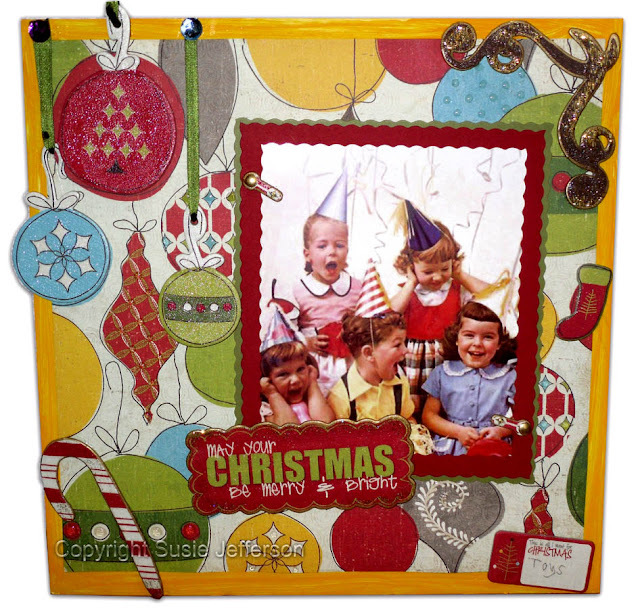 I 'antiqued' the chipboard pieces using Tim Holtz's Distress Crackle Paint in Rock Candy (which is clear, and a couple of coats give a lovely spun sugar sparkle - very vintage). A little on the cute side for me, maybe, but the 50s feel definitely saves them. Nice and colourful, no? Thanks so much! They were great fun to do, just thought I'd like to share.